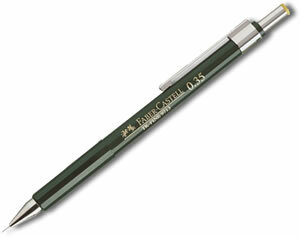 A great mechanical pencil for all drawing and design. Fully retractable guide tube, colour coded for line width with an adjustable window for pencil grade. With an eraser.